Quilters are awesome artists! 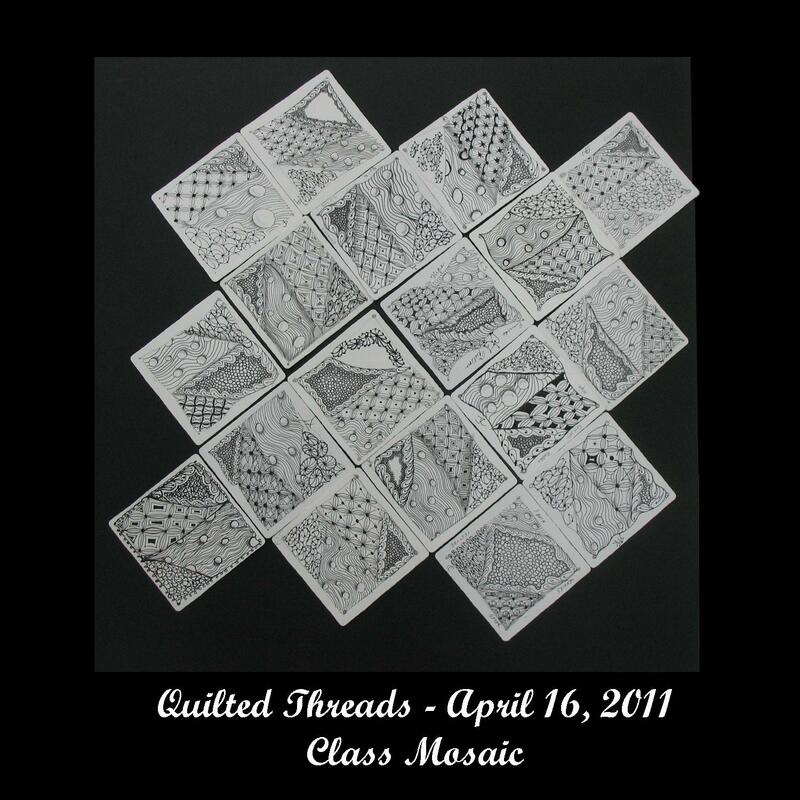 While playing with their class mosaic, this group of tanglers were truly looking at the relationships between tiles and pattern, much like one would do when selecting material and designing a quilt. It was fascinating to listen to their reasoning for moving or turning a tile. The only wish is that we had more time to play with the mosaic. Click on the photo and zoom in for a closer look at these awesome zentangles!